In human anatomy, the head is the upper portion of the human body. It supports the face and is maintained by the skull, which itself encloses the brain. The human head consists of a fleshy outer portion surrounded by the bony skull, within which sits the brain. The head rests on the neck, and is provided bony support for movement by the seven cervical vertebrae. The eyes, nose and mouth. The cheeks, on either side of the mouth, provide a fleshy border to the oral cavity. To either side of the head sits the ears. The twelve pairs of cranial nerves provide the majority of nervous control to the head. The sensation to the face is provided by the branches of the trigeminal nerve, a cranial nerve. The sensation to other portions of the head is provided by the cervical nerves. 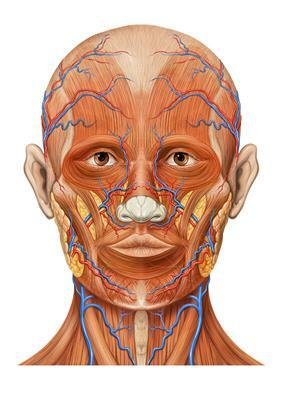 The head receives blood supply through the internal and external carotid arteries. These supply the area outside of the skull (external carotid artery) and inside of the skull (internal carotid artery). The area inside the skull also receives blood supply from the vertebral arteries, which travel up through the cervical vertebrae. The head contains numerous brain. For humans, the head and particularly the face are the main distinguishing feature between different people, due to their easily discernible features such as hair and eye color, nose, eye and mouth shapes, wrinkles, etc. The human head typically weighs between 5 and 11 lbs. Human faces are easily differentiable to us due to our brains' predispositions toward discriminating human facial forms. When observing a relatively unfamiliar species, all faces seem nearly identical, and human infants are biologically programmed to recognize subtle differences in anthropic facial features. People who are more intelligent than normal are sometimes depicted in cartoons as having bigger heads, as a way of indicating that they have a larger brain; in science fiction, an extraterrestrial having a big head is often symbolic of high intelligence. Outside of this symbolic depiction, however, advances in neurobiology have shown that the functional diversity of the brain means that a difference in overall brain size is not a reliable indicator of how much, if any, difference in overall intelligence exists between two humans. 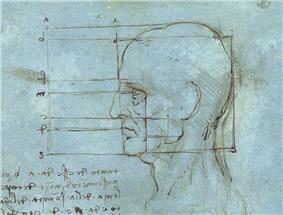 Ancient Greeks had a method for evaluating sexual attractiveness based on the Golden Ratio, part of which included measurements of the head. 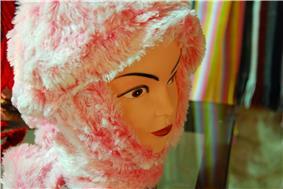 In many cultures, covering the head is seen as a sign of respect. Often, some or all of the head must be covered and veiled when entering holy places, or places of prayer. For many centuries, women in Europe, the Middle East, and South Asia have covered their hair as a sign of modesty. This trend has changed drastically in Europe in the 20th century, although is still observed in other parts of the world. In addition, a number of religious paths require men to wear specific head clothing—such as the Islamic Taqiyah, Jewish yarmulke, or the Sikh turban; or Muslim women, who cover their hair, ears, and neck with a scarf. People may cover the head for other reasons. A hat is a piece of clothing covering just the top of the head. This may be part of a uniform, such as a police uniform, a protective device such as a hard hat, a covering for warmth, or a fashion accessory. Different headpieces can also signify status, origin, religious/spiritual beliefs, social grouping, team affiliation, occupation, and/or fashion choices. One study in the United States estimated the average human head circumference to be 53 cm in females and 57 cm in males. Static adult human physical characteristics of the head. ^ Nguyen, A.K.D (2012). "Head Circumference in Canadian Male Adults: Development of a Normalized Chart". International Journal of Morphology 30 (4): 1474–1480. ^ TECHNICAL BRIEF - Relationship Between Head Mass and Circumference in Human Adults. Date: July 20, 2007. Principal Investigator: Randal P. Ching, Ph.D. Institution: University of Washington. Applied Biomechanics Laboratory. ^ Cowden Syndrome Detection Will Allow For Early Discovery of Cancerous Polyps. Date: December 7, 2010. Principal Investigator: Charis Eng, MD, PhD. Institution: Cleveland Clinic Genomic Medicine. ^ Mester, J. L. (2011). "Analysis of prevalence and degree of macrocephaly in patients with germline PTEN mutations and of brain weight in Pten knock-in murine model.". European Journal Of Human Genetics 19 (7): 763.